It’s clear that the growth of eCommerce marketplaces continues apace, allowing third party retailers to sell through popular and trusted channels to a truly global consumer base. Among the numerous marketplaces Amazon is undoubtedly the leader. Its reach allows retailers to sell efficiently in multiple territories from North America to Australia and Japan. The popularity of Amazon among consumers is plain to see. For instance, it’s been estimated that over 50% of all online searches for products start on Amazon. Amazon’s growth has in large part been down to the way in which it allows third party retailers to access their platform cost effectively. A modest monthly fee plus a commission on sales made ensures that the commercial risk on offering products on Amazon is low. However, that low risk and ease of access means competition on Amazon is fierce. So how can a retailer maximise their chances of success on Amazon? And what can be done to make sure listings are found, the price is competitive, margins maximised and customers kept happy? How do Amazon sellers get all of those things right? Amazon listings need to be optimised to be found. That means the of each product title needs to be clear and succinct. Make sure you spend time on the item description, bullet points and technical description areas. These all help Amazon promote the listing when it is searched for. Where a listing appears in the search results on Amazon will not only depend on how good the listing quality is, but also on the sales made. 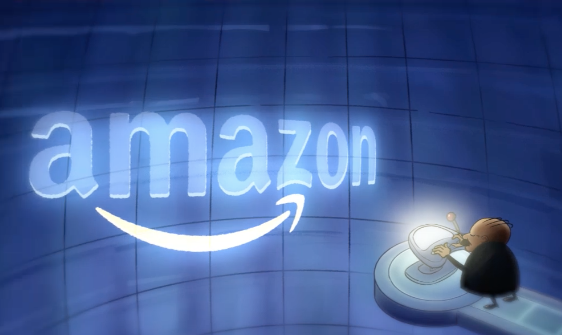 To improve the search ranking of a particular product it can make good sense to use Amazon’s sponsored ads, at least initially. This can be carried out very cost effectively with a limited daily budget. Increase the sales made on a particular product and your search rank may well improve. Not surprisingly, Amazon’s reputation is crucially important to it. Retailers have to understand that, if they don’t then they risk being suspended or banned from the marketplace. When selling on Amazon, retailers must ensure that when a product is sold it is delivered quickly, and should a complaint be raised it must be dealt with professionally and quickly. Amazon quality score retailers on an ongoing basis, drop below the demanding levels that Amazon set and a retailer will lose the right to sell on Amazon. Unsurprisingly, price matters on Amazon, and for retailers selling the same items as others it is vital to be competitive. To ensure prices are kept competitive automatic repricing is very common, allowing the price to move, within defined parameters, as market conditions change. The Amazon Buy Box shows the item that Amazon suggests the consumer buys. Surprisingly, the item is not always the cheapest available. Instead Amazon promotes the item that has a good price but which is supplied by a seller who can meet Amazon’s quality score involving, speed of delivery and customer satisfaction levels. Like the Amazon Buy Box, listings marked as Amazon Choice or those that are suggested by Alexa are based on Amazon’s assessment of price, retailer reliability and retailers customer satisfaction levels. As with the Buy Box, Choice and Alexa preferences can only be won if the retailer is able to consistently deliver a highly satisfying customer experience time and time again. There is a lot to get right when selling on Amazon, which means there is a lot that can go wrong. But getting it right will ensure sales and profits increase with little in the way of commercial risk. Our new lessons on Third Party eCommerce can help you achieve business success through the use of marketplaces like eBay, Amazon, Tmall and Taobao. Part 1 will leave you feeling confident in your understanding of how marketplaces function, how and when businesses are charged for selling on marketplaces, and how to create listings that lead to sales. Then, Part 2 explores the benefits and drawbacks of working with Amazon, help you understand how sales are made through the platform - including a discussion of voice search and Amazon Prime - and explains your options when it comes to listings, fulfilment, and customer service. For more information, check out our Third Party eCommerce course page.